NEW YORK: A trove of Marcel Proust’s correspondence is to be digitized and put online for free, with the first batch of letters timed to coincide with the 100th anniversary of the end of World War I, organizers of the US-French initiative say. The nearly 6,000 letters to and from the author of “In Search of Lost Time,” one of the great masterpieces of western literature, are drawn mainly from the work of Philip Kolb, a University of Illinois professor. Kolb, who died in 1992, assembled and published all of Proust’s surviving correspondence — about 5,300 letters — in 21 volumes between 1970 and 1993. Several hundred more letters have since been identified. Kolb estimated the size of Proust’s correspondence at some 20,000 documents, but most were lost or destroyed over the years. The University of Illinois at Urbana-Champaign is leading the project to digitize the collection, with collaboration from the University of Grenoble Alps, the Institute of Texts and Modern Manuscripts and the National Library in France. 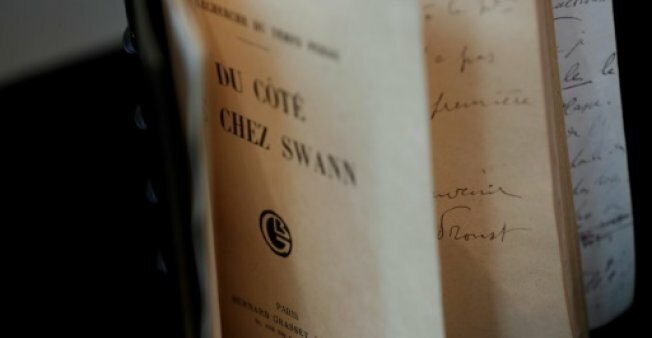 The project will first focus on 200 letters that Proust wrote related to World War I, with the goal of having them online by November 11, 2018, to coincide with the 100th anniversary of the end of the Great War. “That will allow us to have a first display, with a coherent set,” said Francois Proulx, a literature professor at the University of Illinois. “We were not convinced that the letters from his youth were especially the most interesting to start out with,” said Caroline Szylowicz, the librarian in charge of the University of Illinois’ Proust collection. Proust, who was frail and of poor health, did not fight in the war. However his younger brother Robert did, and the two exchanged letters during the conflict. The handwritten letters posted online will include a printed transcript of the document. “It helps decipher Marcel Proust’s writing, which is not always easy to read,” said Proulx. The website will also offer various links, including press articles of the time that Proust refers to him the letters. The goal is to eventually post all of Proust’s correspondence online. Under Kolb’s leadership the University of Illinois has acquired some 1,200 letters. Letters written by the French author are known to fetch tens of thousands of euros at auction.